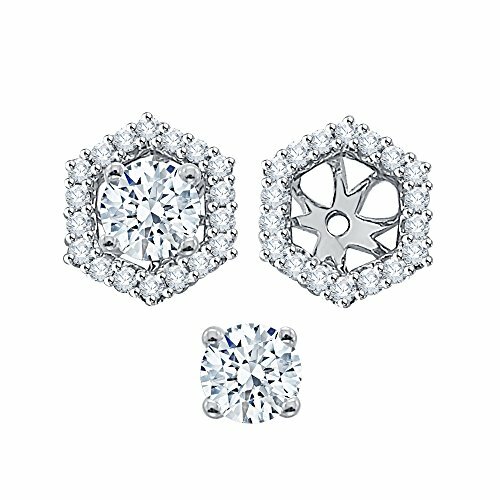 Add a whole new look to your simple stud earrings with these dazzling earring jackets. Simply slip your earring post through the hole, and your earring is instantly haloed by brilliant round cut diamonds set in gold. These pair of earring jackets can hold up to 1/2 ct. each (Tw.) stud earrings. Studs are not included.